An Indiana couple hit the lottery jackpot thanks to a mistake by the clerk who sold the ticket. 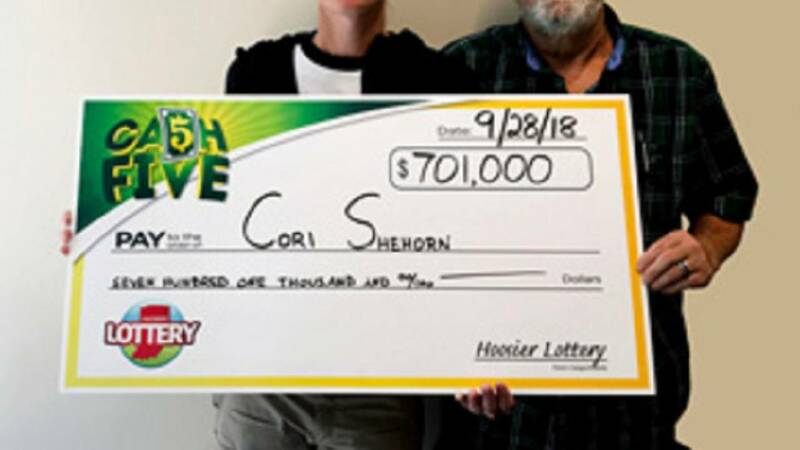 Herby Shehorn told Hoosier Lottery officials he asked for $10 in Mega Millions tickets, but when he got home, he realized the employee had given him CA$H 5 tickets. One of them ended up winning Herby and his wife Cori more than $703,000. “The next morning, I went in and said, ‘I’m sure glad you screwed up,’” Herby told officials. Herby, a retired carpenter, and Cori, a postal worker, said they plan to renovate their home and save half the winnings.